Much before CM Amarinder Singh’s mandatory drug test move, his predecessor Parkash Singh Badal had issued a similar order in 2014. Chandigarh: The opposition Shiromani Akali Dal has “selectively” objected to the mandatory dope test for Punjab government employees, proposed by chief minister Capt. Amarinder Singh. But four years back, the SAD government of Parkash Singh Badal had issued a similar order which never saw the light of day. Last week, Singh had ordered mandatory drug test of all government employees, including police personnel, from the time of their recruitment through every stage of their service. 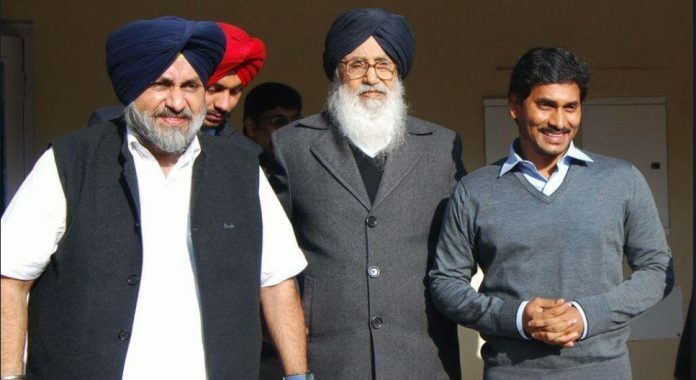 Faced with severe criticism in his second consecutive term as CM over unbridled drug problem, Badal had in August 2014 issued a similar order to check the menace. “In a significant move aimed at checking the entry of drug addicts in state government services, Punjab Chief Minister Parkash Singh Badal today gave his nod for making the clearance of ‘dope test’ mandatory during the recruitment process in all departments of the government,” said a government press statement dated 14 August 2014. “Necessary amendments must be made in the existing rules to incorporate provisions to ensure that any person selected into government service must clear the dope test during his medical test. If the report of any aspirant was found negative then he/she must be debarred from joining the service,” it said. The Akalis, now in the opposition, have “selectively” objected to Amarinder Singh’s move. The core committee of the Shiromani Akali Dal (SAD), which met last week, “warned that mothers, sisters and daughters who are serving as employees in Punjab would not be allowed to be disgraced by the government by subjecting them to forced dope tests”. “In 2014, we never ordered dope test of the existing employees. Only fresh recruitments were to be monitored,” explained Dr D.S. Cheema, SAD secretary general and former cabinet minister. Badal’s decision never saw the light of the day. Neither any amendment was made to the civil services rule book, nor was any effort put in to implement the CM’s orders during the fresh set of recruitments of senior assistants in 2016 and clerks in 2017. The Punjab Civil Secretariat Staff Association takes credit for scuttling the move. “We had at that time set the same condition as has been done now. First all MLAs and MPs will get the test done, followed by IAS and PCS officers,” said a former leader of the employees’ association. “If that had happened we would have agreed to the decision,” he added. While elder Badal’s decision got quietly buried, his son, the then deputy chief minister Sukhbir Badal came up with the same idea in 2016 for the limited purpose of recruiting 7,000 constables in the Punjab police. More than 3.75 lakh male applicants were drug tested. Almost 1.27 per cent failed the test. Sukhbir went to town with the figures to prove that the extent of the problem was not as severe as was being made out by his opponents. The employees’ association is all set to derail Amarinder Singh’s move as well. “We have planned a rally in Chandigarh as well as in all district headquarters across the state Tuesday to protest against the imposed test,” said Sukhchain Singh Khehra, president of the association. The employees had initially reacted to the proposed move saying that they were ready to take the drug test on the condition that the elected representatives undergo the tests first. Despite politicians cutting across party lines making a beeline for taking the dope test, the employees have decided to raise an objection. The CM had Monday tried to reassure the employees saying those testing positive would be “treated”, not punished and their identity kept confidential. He said such tests were conducted in the Army as well. Last Saturday, leader of opposition and AAP MLA Sukhpal Khaira had written to the CM asking him to reconsider the decision. “If at all a dope test is needed it should be conducted on police officers and not the constabulary or lower ranks,” he said. “What is the point in making 3 lakh employees undertake the test, particularly woman employees, clerks among others who have no connection with drug trafficking,” Khaira added.